We have yet another example where the climate models of the Anthropogenic Global Warming cult don’t match reality. 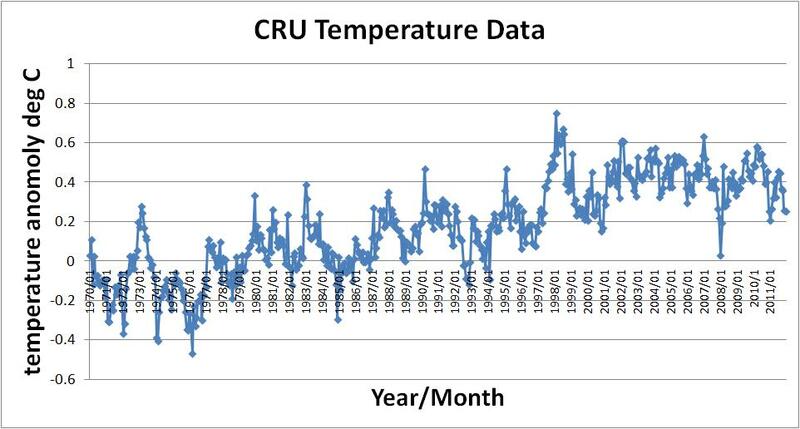 There was a post on WUWT showing predictions of the global surface temperatures made in 1998 from the Hadley Center climate model. In the many pdf files linked on that post, this one shows the global temperature predictions through 2100 and the graph is shown below. From that graph, we should be seeing global surface temperature anomalies of around 1.3° C in 2012 but as I’ve shown in a previous post, the temperature anomalies are much less. 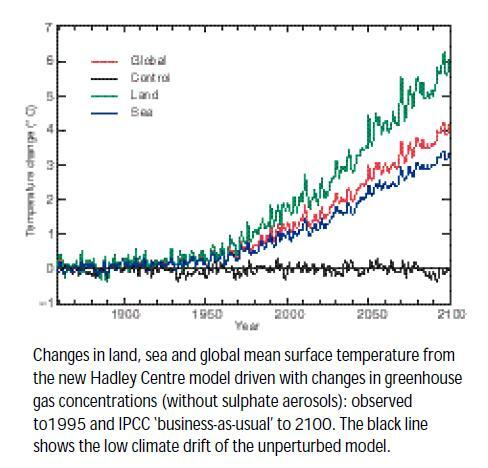 It should be stated that the graph above is taken from the Hadley Climate Research Unit so I’m using the data of the same institution that made these predictions in 1998 based on their models. Houston, we have a problem! It appears these models need some tweaking!